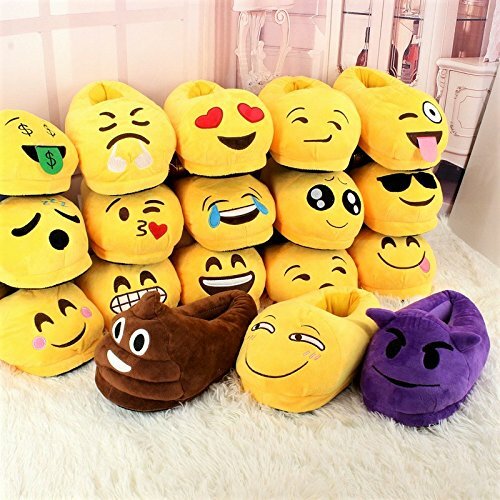 These Emoji plush slippers are made of high quality plush with PP cotton fiber. 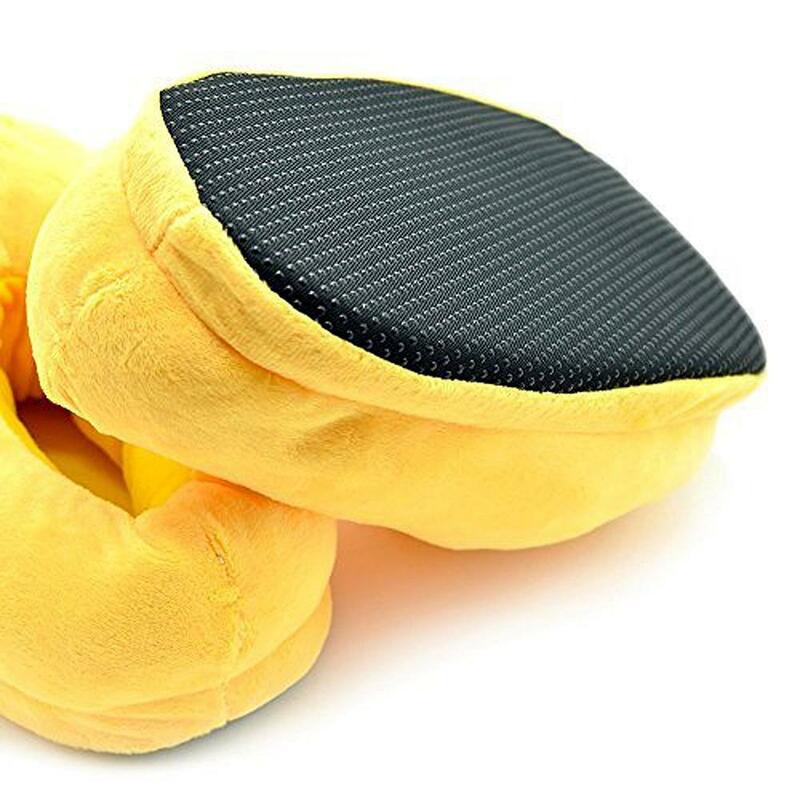 Pressure resistant cotton pad is about 1" inch thick and skid-resistant as well as wear-resistant bottom. 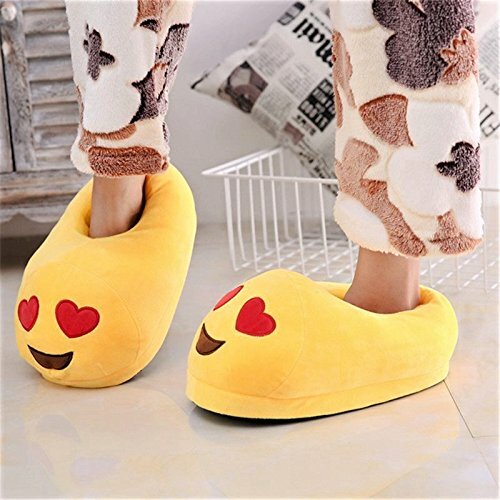 Funny creative designs and super soft and comfortable. 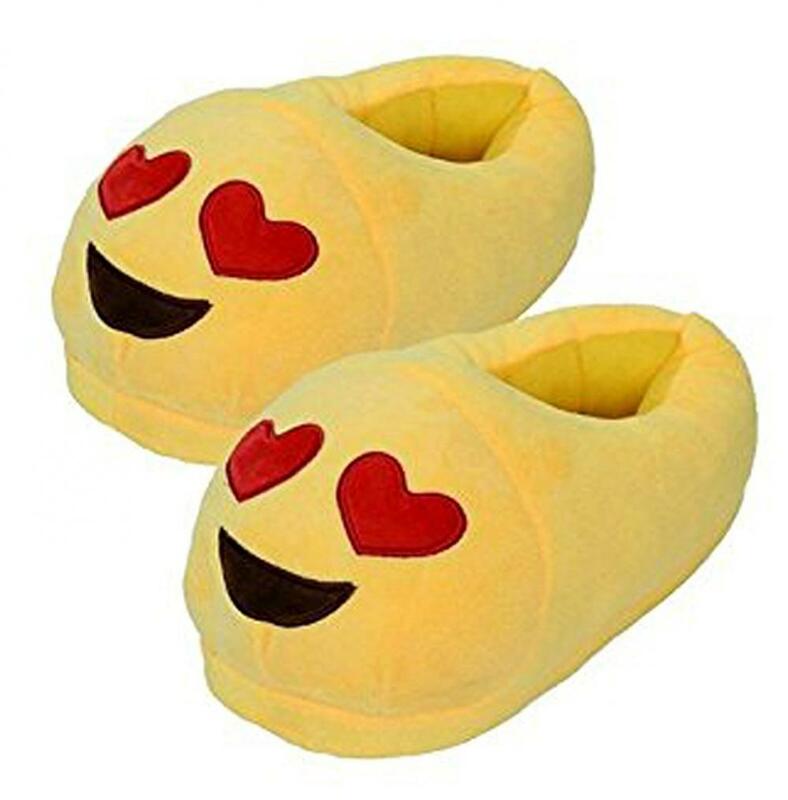 A pair of excellent indoor slippers. 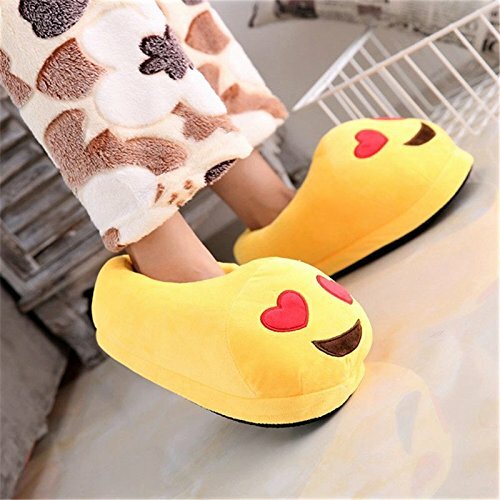 **It's not waterproof but the bottom is covered with non-slip bottom particles cloth, wood flooring will be the first choice, no hurt to the floor, it's softer to walk on carpet, it is recommended to use in indoor to keep warm, wet and outdoor is not suitable.Sewing soft bottom, gently machine washing is allowed.